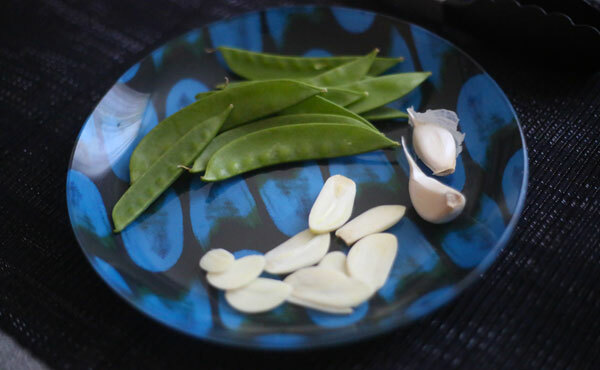 This dish brings together familiar flavours from Chinese cuisine, namely sesame seed oil, soya sauce and garlic. 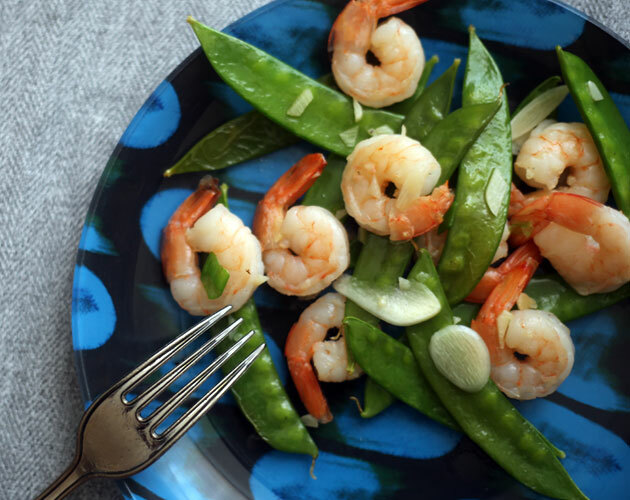 Prawns or shrimp are said to represent happiness and joy and make for a beautiful presentation against the crisp, green snow peas. Next add shrimp, snow peas and soya sauce. Saute for another few minutes. Once shrimp turns to a bright coral pink, remove from heat and transfer to a pan. Serve as is, or over a bed of rice.